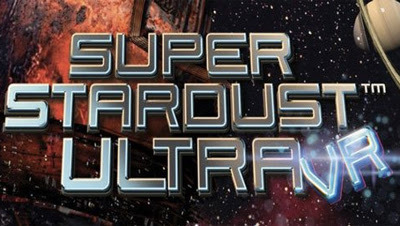 Super Stardust Ultra VR released on PlayStation 4 a few years ago and like a few other of the launch PlayStation VR titles, this one has been enhanced and includes a brand new mode made specifically for VR called Invasion Mode. Honestly, there isn’t a huge amount of new content here but the core gameplay is so good and having it in 3D right in front of you face makes it truly worth the investment. Developed by d3t and out now on PlayStation VR, Super Stardust Ultra VR may be the most addictive VR launch title. If you’ve never played Super Stardust before, the game essentially takes place on spherical maps around a planet as you take on ever increasingly tough waves of asteroids, space junk, and enemy spaceships in frantic mayhem. The only different between the core game and VR here is the fact that the planet is right in front of your face and the environment spreads all around you. While the core game is pretty much the same for VR, the only real addition to be found here is the Invasion Mode. This takes the core elements, moves it into a 3D world, throws much less enemies at you and puts you into the cockpit of the vehicle. It’s simply not as good as the other modes. Not only that but if you are looking for a game that takes place in a cockpit, there a few others available for PlayStation VR that is simply better. Super Stardust Ultra has become the staple title for releasing on new hardware with it previously showing up for the launch of PlayStation Vita and honestly it’s a perfect example. No matter what system it releases on, it always looks incredibly and plays really well. It’s the same story here with PlayStation VR. If you have played the game before, I still recommend it simply because the satisfaction of playing never gets old and this is just a new way to experience the simplistic perfection that it encapsulates so well. It’s all about the chase for a high score. While this would only have its hold for a short amount of time, it’s how satisfying the game is to play that keeps you coming back. If seeing numbers go up doesn’t help the endorphin rush, then seeing asteroids explode leaving behind a bunch of pick-ups might do the trick. The game is largely played from a top-down perspective with the camera never really moving. The new Invasion Mode takes place in a cockpit so that even though there is a lot of action going on around you, the character is stationary like you so it doesn’t play with your head. No discomfort and rather enjoyable. There’s not a lot to explain about Super Stardust Ultra VR. It’s the same great game you may have played on PS4 but jumped into the 3D world of virtual reality. The new mode is a fun little distraction but is ultimately inferior to the core game which is still stellar. If you want fun, satisfying game that’s easy to just jump into, this is the title for you.